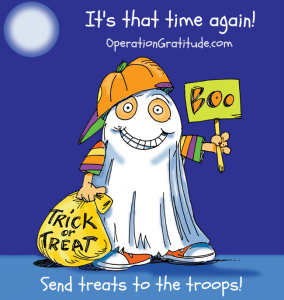 If you have extra candy and are not sure what to do with it, Restore Plumbing and Drain is collecting candy to send to our troops via Operation Gratitude. In previous years we have collected and sent out 12lb+ worth of candy! It is a small gesture to tell our brave men and women in the services thank you!